Story….In 1884, the African Congo was divided up by its European conquerors, with King Leopold gaining control of enough territory to build a vast realm of railroads and enslavement. To pay off his debts and to buy up mercenaries for his army, he sends envoy Leon Rom (Christoph Waltz) on a quest to retrieve the valuable diamonds of Opar. 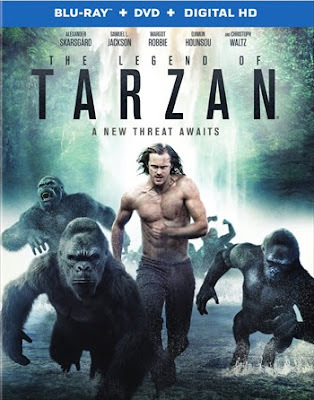 But they’re heavily guarded by a vengeful warlord called Chief Mbonga (Djimon Hounsou), who wants Tarzan (Alexander Skarsgard) to pay for the killing of his son.